Disclaimer: some of the photos are not taken by me, but I assume that everyone is fine with publication here. 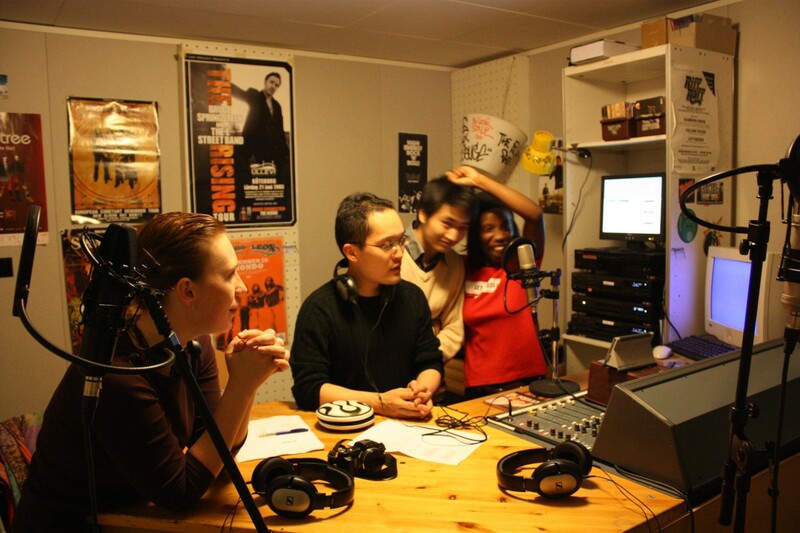 I am sad – I heard yesterday that THSRadio, the student radio of my old university KTH, will close down at the end of this week. 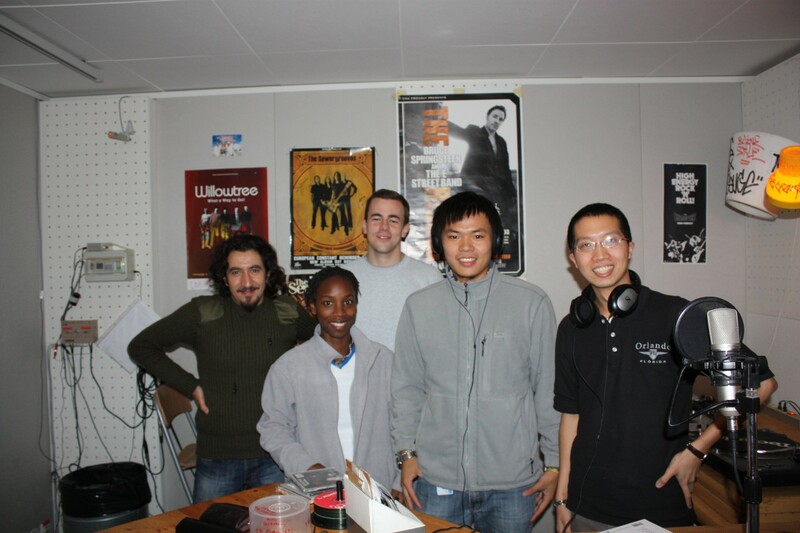 That means the end of Hello Everybody, the international student radio show. I participated for a long time in it, the last time in February. 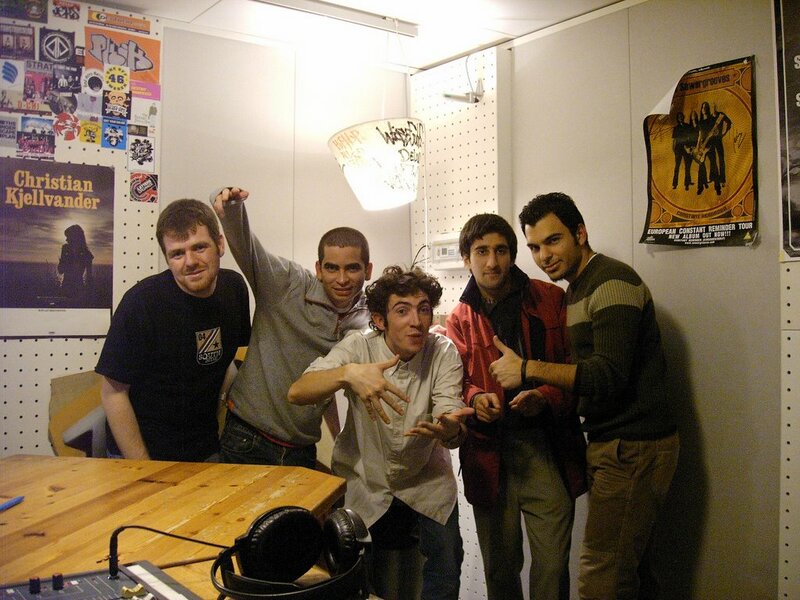 The concept was simple: the crew meets in the studio and passes the time with chatting. There were virtually no rules. We had great creative liberties, but with that came often the pains to find something to talk about. When it went well, we had a great guest with nice music. When it went not so well, somebody was alone in the studio killing the time with loads of music and nonsensical chatter. Thus the greatest moments were those when everybody was having fun. A crew in a good mood made a good show. The best crew was for me of course the first one. We didn’t have a clue about making radio and everything was new. At the student union day in 2005 I stopped at the radio booth. 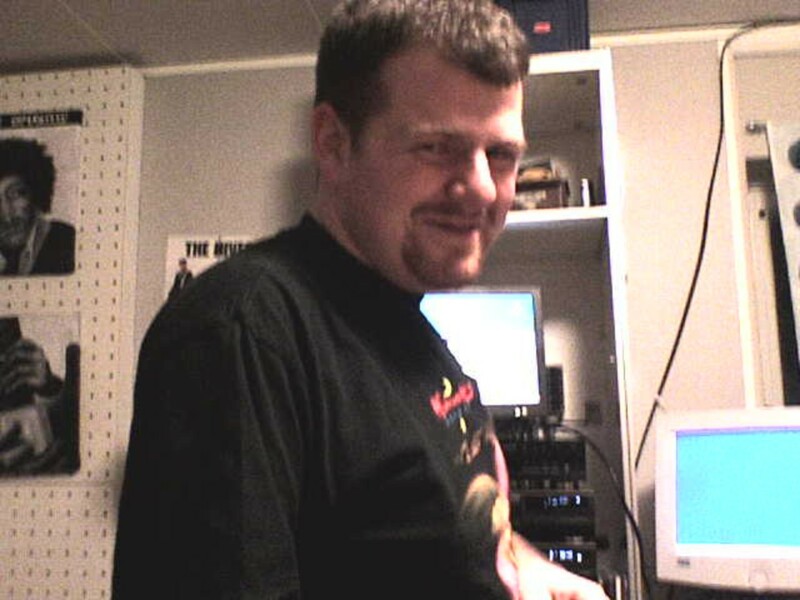 I always had the fascination for it – ironically I worked for a big radio station in Germany from 2002, but always as an internet guy, never behind the microphone. 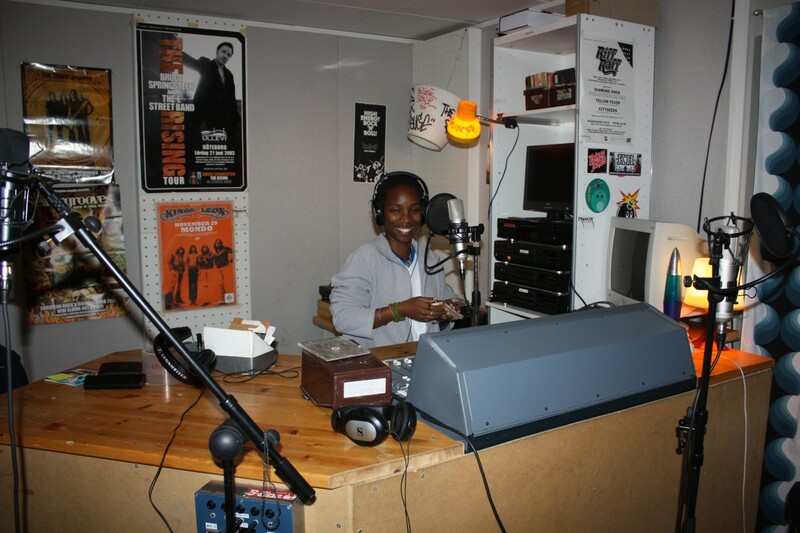 I would have never dreamed of making radio myself. It came slightly different. The next Friday I was with Remi, a french exchange student, in the studio. He had been recruited just before. I didn’t dare to say anything, but that changed soon. 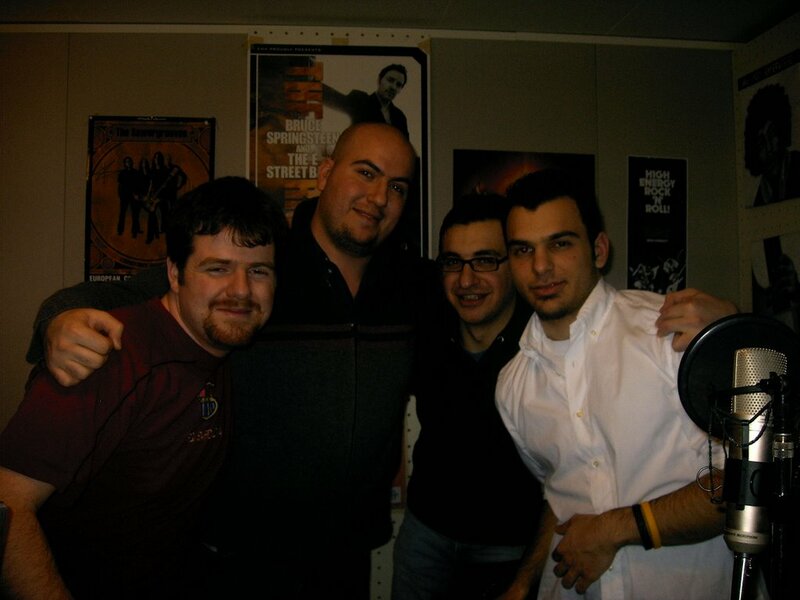 A few weeks later Constantinos and Evangelos (aka. Vaggos) from Greece, Francisco from Venezuela and Mohammed from Lebanon had joined us. 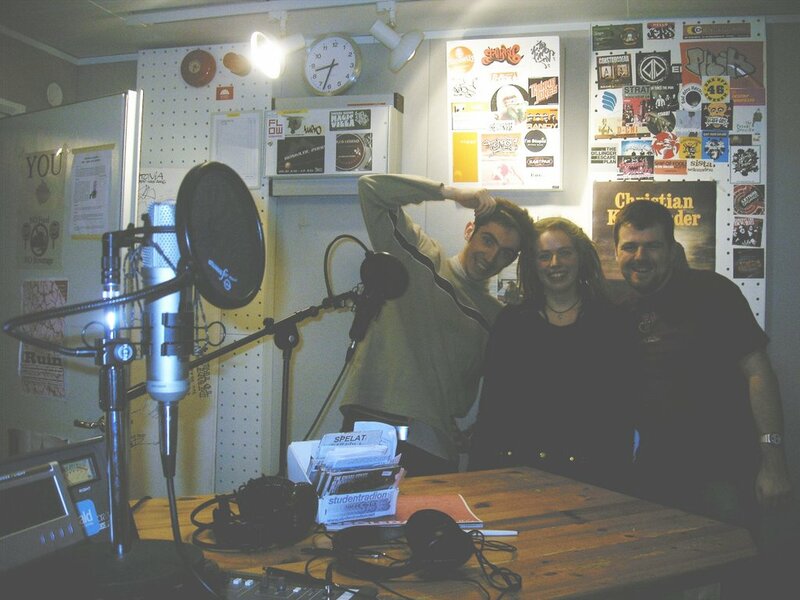 Initially we tried to make real good radio. 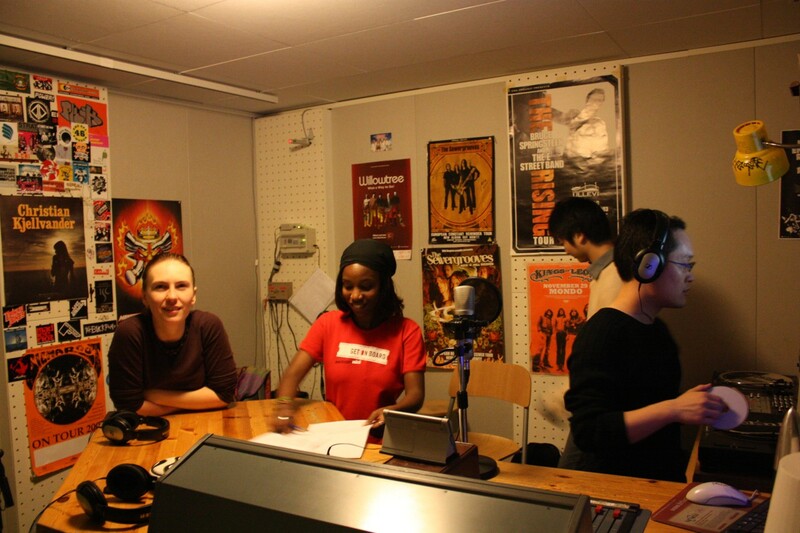 After all we were on FM 95.3 MHz in most of Stockholm. 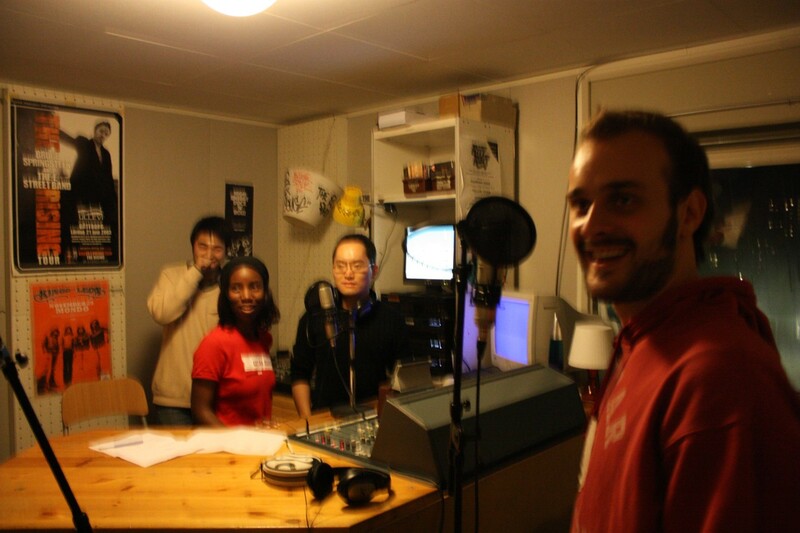 We prepared topics, got nice guests, chose music. We produced jingles. I found commercials for the American shampoo “Halo” from the 1950s with the refrain “Halo Everybody”, which was close enough to the show’s name. The shampoo’s slogan was “the shampoo that glorifies your hair”. That became partly “the show that glorifies your hair”. Absurd, but funny. One may wonder about the strange name of the show anyway. Well, when Remi restarted the show in 2005, it was at least the second year of the show. The previous crew obviously used the phrase “Hello Everybody” so excessively that it became the show’s name. And we used it without rethinking. It started to get out of hand after a while. One show started with considerable alcohol consumption and ended with some crew members showing their asses in the webcam. The increasingly easygoing attitude had a reason. The show was on Fridays from 10 to 11 pm – exactly the time when nobody was listening, especially not to a free radio with a weak transmitter. In one show we offered money to anyone who would call us first – in vain. There were no unexpected calls. Statistically someone of the 400,000 people inside the transmitter range must have listened, but it felt like making radio for nobody. The station manager had little understanding for that. 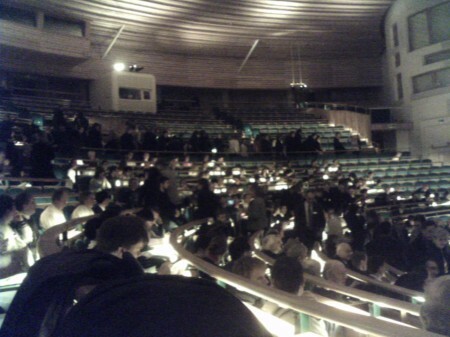 It was argued that lots of people listen to the show and go out afterwards. But this is Stockholm with a 4 am curfew, not New York. I had the impression that Eric, the manager, didn’t like our show and especially didn’t like me. I never knew what to make out of the station anyway. There was the English language rock programme Rocket, which was branded like a separate radio station. It might have been, but the organization structures were never clear to me. Rocket will survive during the next weeks. All the other shows managed their time slots. The PR consisted essentially of a MySpace page. There was simply too little substance to fill all the hours. It’s strange that we received the most ungrateful time slot. The one who kept the station together was Catrin. She had graduated from KTH long ago, but wasn’t very eager to start a career. Instead she wasted her time on maintaining the aging studio equipment with virtally no budget. She took it extremly seriously, showed little flexibility, and was almost embarrassingly naive in her optimism about the station’s success. Every conversation ended in long monologues – but I have to express my respect for her. Without her the studio would have been trash long before. I stayed on, although less enthusiastically. We did as we pleased, followed the rules where we thought it was good – commercials helped the station after all. And we ignored them where we couldn’t see the point. Especially the rule to play 6 songs from the internal hot rotation list was never followed by us – except when we had forgotten to burn our own CDs. We managed to get new people in the summer of 2006. Those who stayed remained the base of the show. 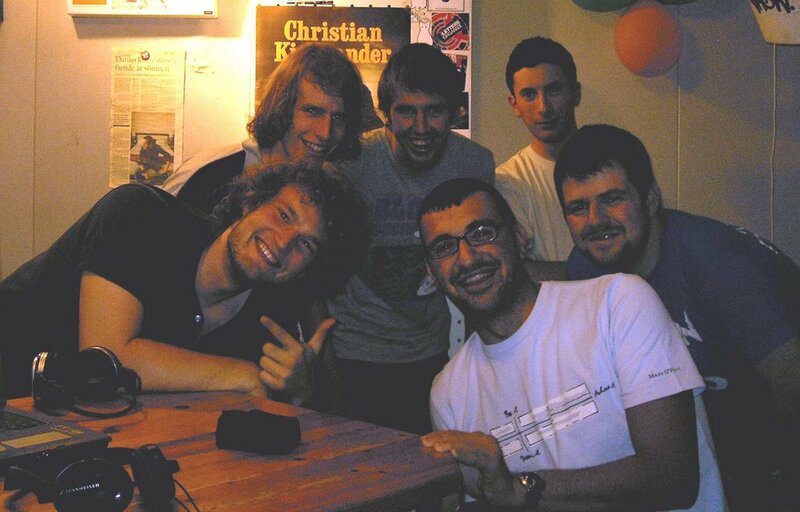 I made shows with friends from Germany who worked as radio professionals. To develop my skills a bit, I took over “Top 20”, the internal charts of Swedish student radios. That had an astounding: until 2012 the show has been run partly by the Hello Everybody crew. To recruit was never easy. 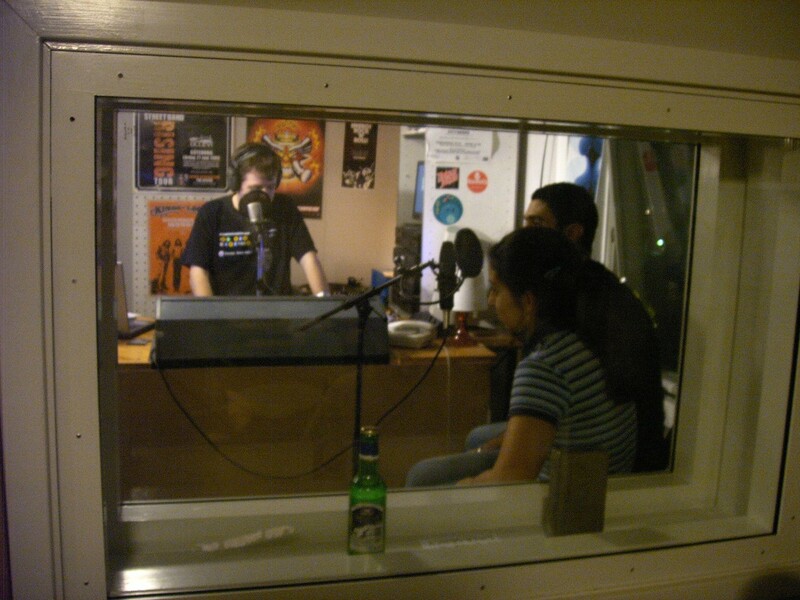 That had something to do with my extreme openness about the number of listeners and the show’s quality. But a few new people always stayed on. Especially the summer of 2008 was successful. Unexpectedly we were offered the time slot 9 to 10 pm on Saturday. We had so many new crew members that we ran two shows a week for a while. After one year Eric doubted that we should keep the far more interesting Saturday spot. Allegedly he listened to the show, didn’t like it and took Saturday from us. It felt like a cheap excuse. In summer 2008 Justin from Taiwan joined us. 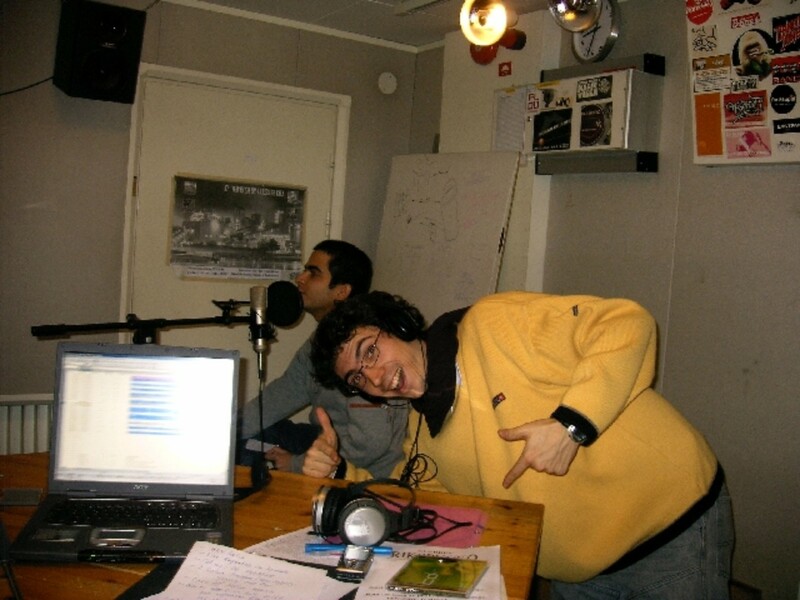 He would be the one who would take over the management of the show when I became less active, slighly demotivated and very occupied by my bus driving extra job. He was a gift from heaven for the show. Not that it was a totally different show from then on, but he managed admiringly to keep it alive for years with very few recruitments. 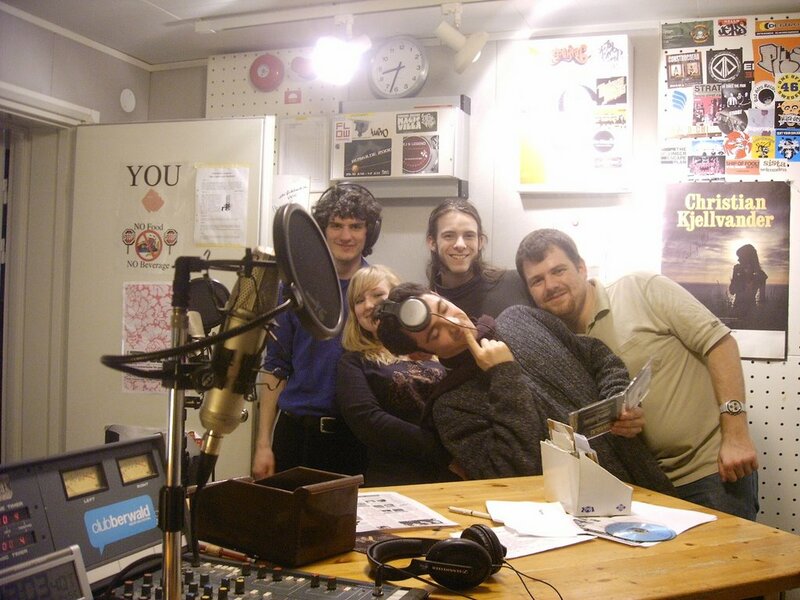 Somewhen in 2009 I made my last show and followed it hardly anymore. But it was always close to my heart. When I had a crawl swimming course on Friday evenings this spring, I took the opportunity to get a few times on air. Once I was the guest in a show about running. Then I made an own show once. 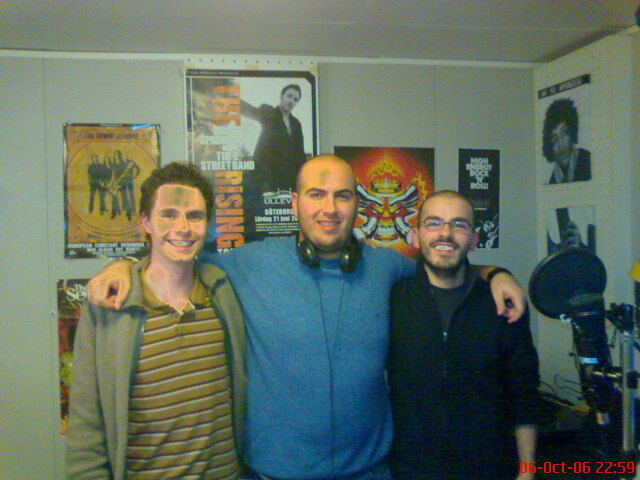 My final show was a try to make a revival: Constantinos and Mohammed joined me in the studio. Vaggos was sick, and the Skype call to Remi had to be canceled, too. But it was a worthy farewell. 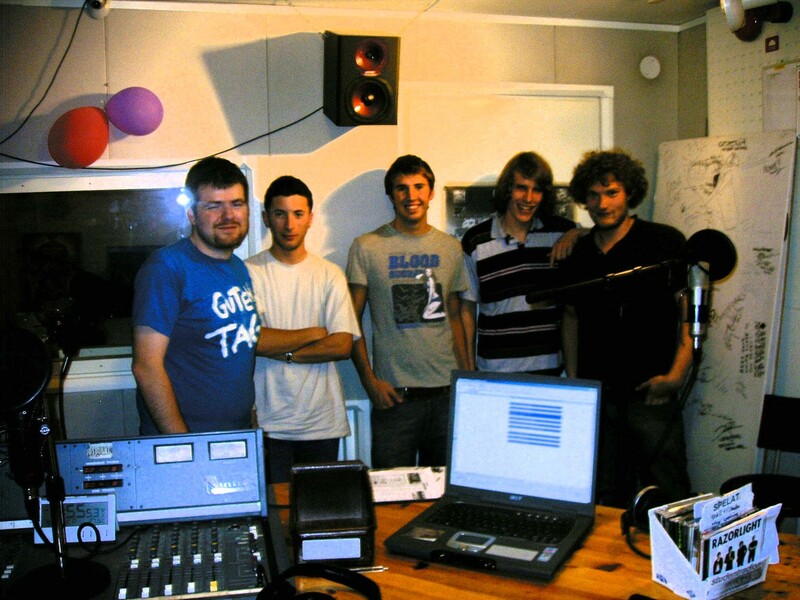 For one last time we were united in the studio, tried to use the switches like before. It is fitting that the show came to an end soon after that. I would have expected that there would be one summer after which no student was left anymore to join the show. In the end the show was not a victim of the uncomfortable environment. Not an exodus of the crew ended it, not the unwilling station management. It’s not that the station survived the show, it is vice versa. 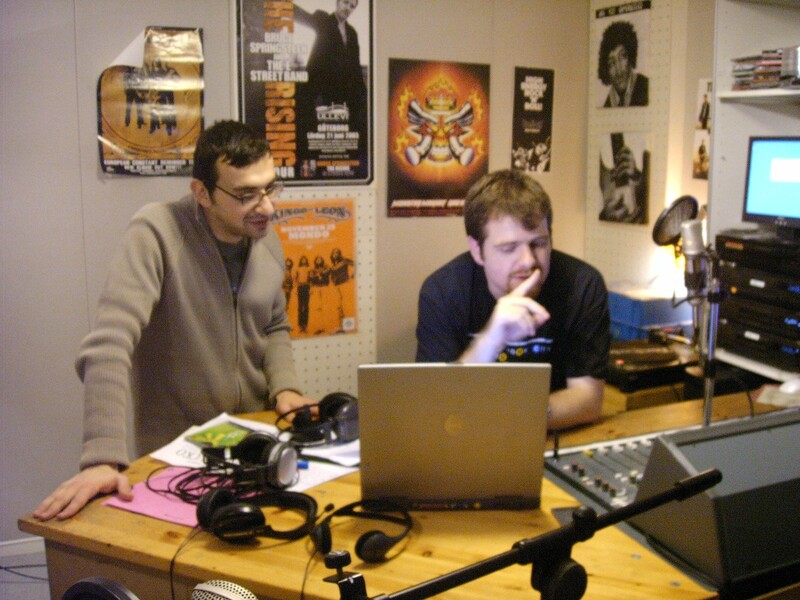 The Facebook page of THSRadio says that the future of the studio is undetermined. But as far as I know, the student union wants to have the rooms and the station would have to move to even smaller rooms and leave FM. 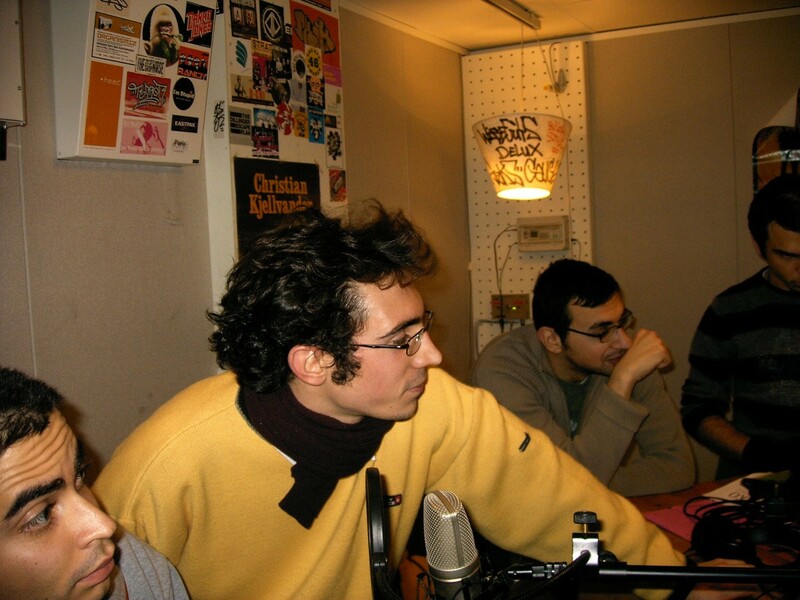 It will be most probably the end of THSRadio. The Hello Everybody Show goes Off Air after at least 8 years. 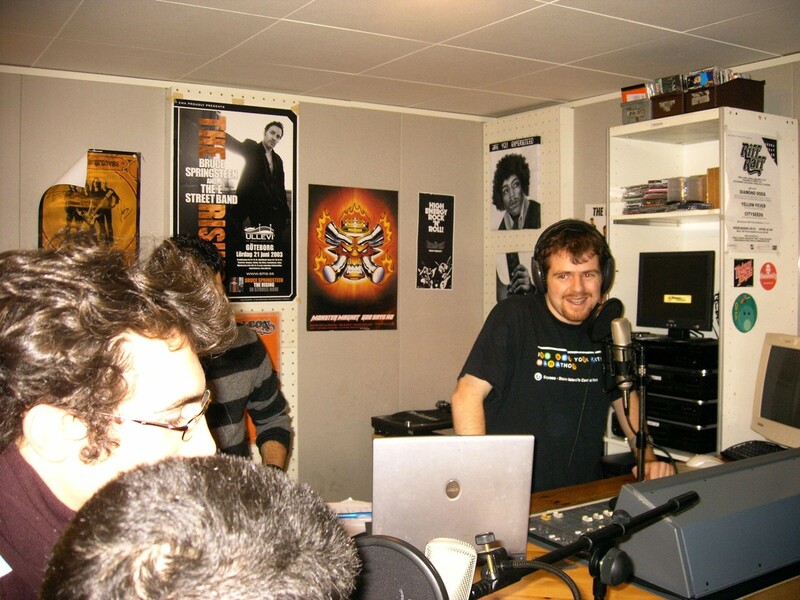 33 years of THSRadio end with it, almost half of it under the management of Eric. It is the most worthy end for the radio show. 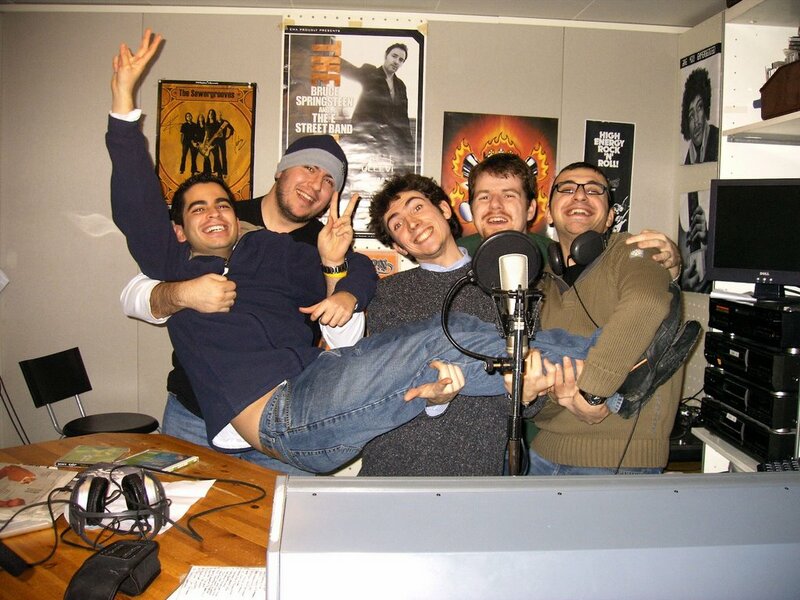 Thank you, Hello Everybody, for great years, in which even I got to make “real” radio. Thank you for the great people, the great experiences and the great guests. I wouldn’t want to miss anything of it. 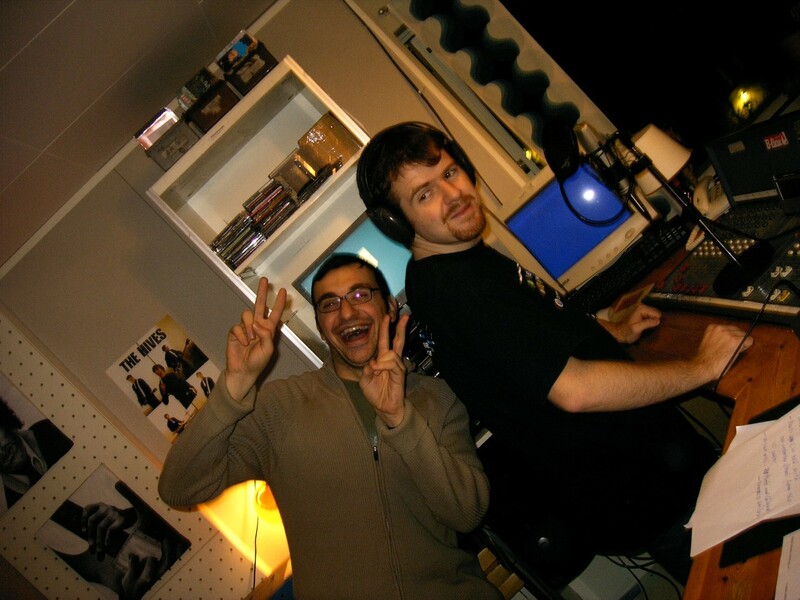 The Hello Everybody Show will be on air this Friday at 10 pm for the very last time. 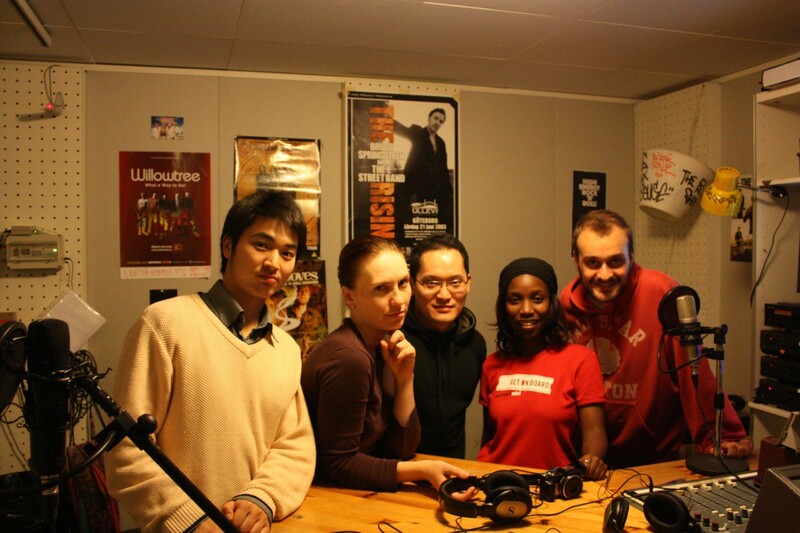 If you want to listen to it, it is on FM 95.3 MHz in Stockholm. 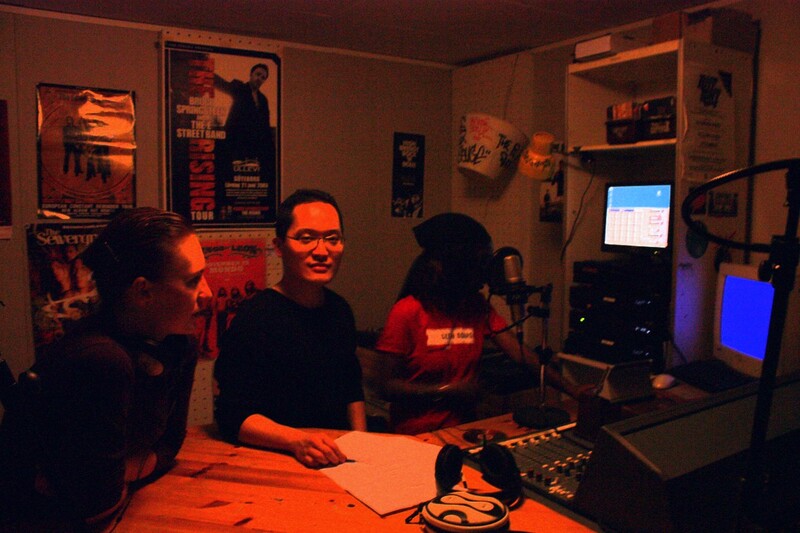 In the internet you can find it at thsradio.se or narradio.se. I myself will probably join by phone if possible. From today's issue of the Swedish newspaper Dagens Nyheter: the boat's missing here, too. 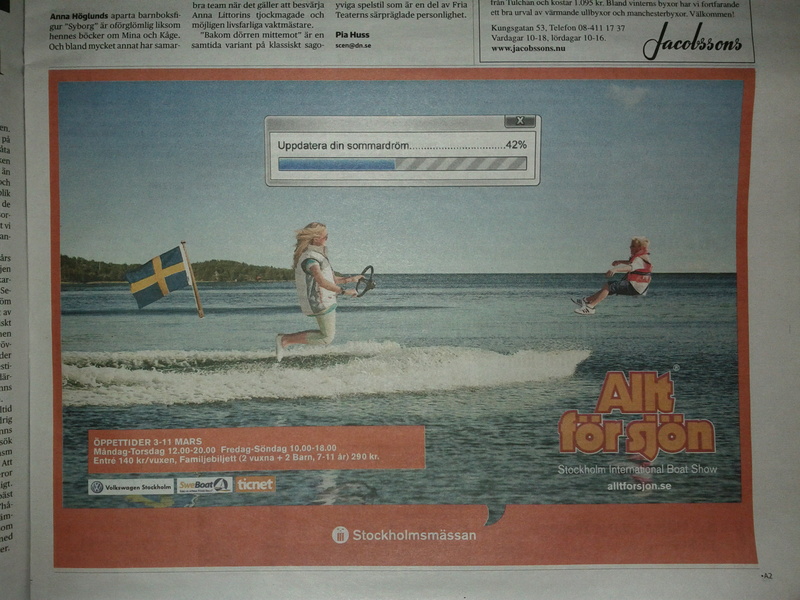 Recently I wrote about an apparent Photoshop disaster in the advertisement for a boat show in Stockholm next week. Now I have found out that this was actually intended: the boats are missing in all ads. Sweden in winter – that is coldness and darkness in the eyes. While the latter is guaranteed, low temperatures have only stopped by for a few days in late October and moved on to the far north. They have been above zero centigrade ever since despite German media claiming that people in the queue for the new Nintendo Vii console waited in sub-zero temperatures. I was not among them anyway – I would not even spend money on a game console. My actual point is that Alfred Nobel died in San Remo, Italy, on 10th December 1896, most likely in much nicer weather than here in Scandinavia. Ironically this very special birth date has brought Stockholm on of the highlights of the year: The Nobel Prizes. Along with the Swedish holiday of Lucia it makes the first half of December very special in this city. The laureates, accompanied by their family, arrive a few days before the actual festivities which marks the beginning of a whole Nobel week. While the Prize itself has only three major events, the laureates are invited to a large number of other events, e.g. visits to schools. 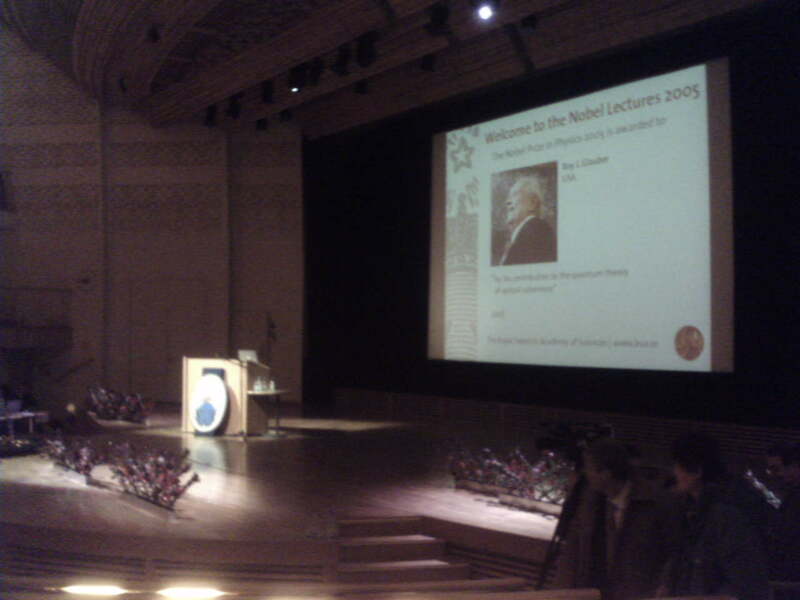 The first official event are the Nobel lectures. By the statutes of the Nobel foundation, every laureate is required to give such a lecture. If they cannot attend personally, they have to do it through video or in writing. While the lecture of the Nobel Peace Prize laureate takes place during the awarding ceremony, all other laureates hold theirs two days in advance. The lectures for Physics, Chemistry and the Economy Prize take place at the Aula Magna of Stockholm University, the Medicine lecture at the Karolinska Institute and the Literature lecture at the Swedish Academy. Most of them are scientific lectures with certain acknowledgments of their colleagues and their families. The Peace and Literature lectures are often more like speeches about political topics. 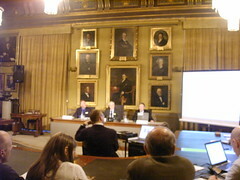 So far I have only visited the lectures at the Aula Magna. This has practical reasons – the Medicine lectures are on the same day, but some kilometers away, and the Literature lecture may be the one which attracts the public attention, but requires that the visitors get a ticket in advance. The Aula Magna however is near to my place and antrance is free. During the lecture the taking photos is not allowed. This was the audience on Friday. Enough for today – I can already say here that I don’t have photos from the awarding ceremony, simply because it is limited to a small number of honorary guests. However, I have pictures of last year’s Nobel banquet which I was able to attend. But more about that tomorrow. Today I have passed the exam of my database course – well, with my previous knowledge of SQL and some studying of the ORACLE basics it was not that difficult. That’s why there is only a short entry today. 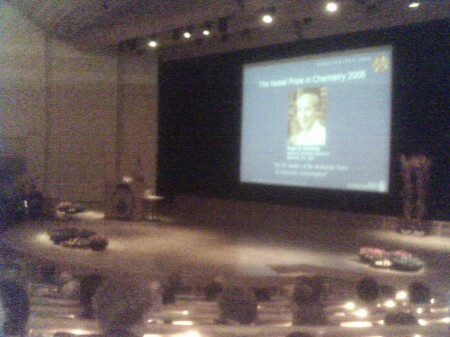 Nonetheless here a picture of the Announcement of the Nobel Physics Prize. You may have already seen that this is become a series. Last year I failed to document all the stuff I have seen and done around the Nobel Prizes. So this year it will become a long series until the 10th December. Fortunately at least two categories didn’t go to Americans. Maybe this situation is going to change now. Germany has chosen among its universities 3 “elite” universities which are specially subsidised. And my former university, the University of Karlsruhe, is one of them. So, as an ex-Ivy-League student, I post this nice photo of the room in front of the press conference room in the Royal Academy of Sciences. It is a panoramic shot, thus the small mistakes at some points. 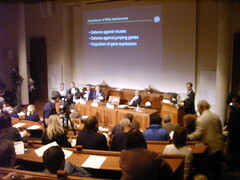 This is a photo of the Announcement of the Nobel Medicin Prize 2006 which won Andrew Fire and Craig Mello. These minutes the second to last category is announced at the Swedish Academy in Stockholm’s Old Town. It is the Turkish writer Orhan Pamuk. So my guess it could be another American was wrong. 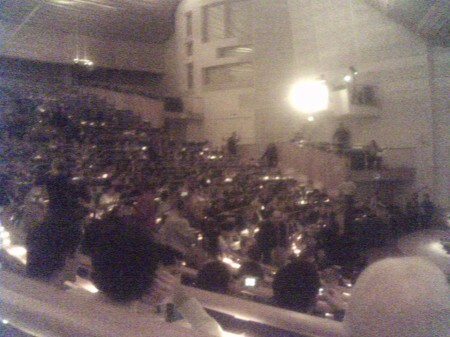 Just minutes before the Announcement of the Nobel Medicin Prize 2006 – a panoramic view of the lecture hall at Karolinska Institutet. The room is packed with people. Today North Korea tested its nuclear weapon. Time to ask an expert about the country’s leader Kim Jong Il. What says infamous political analyst Albert Einstein (died 1955) about Kim Jong Il (born 1941)? 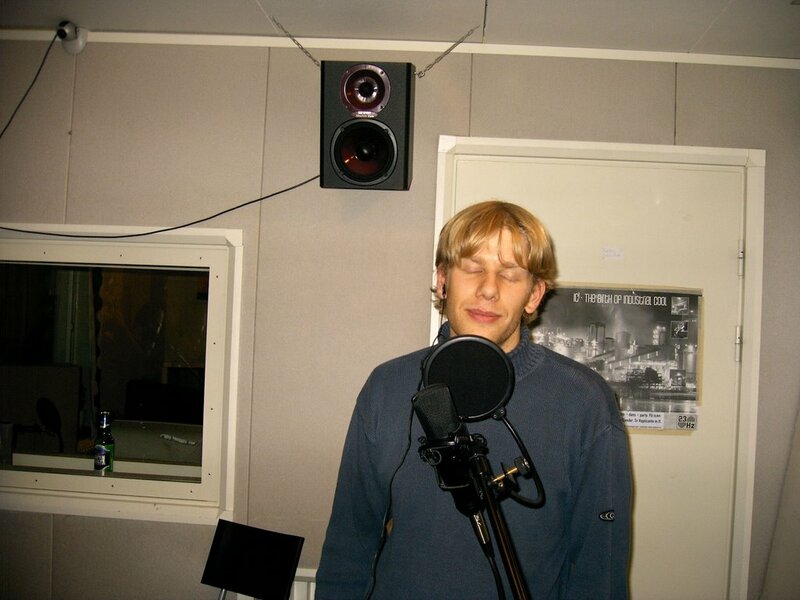 Mattias Sääksjärvi on Boycott the World Cup ?!?!? Alex on Boycott the World Cup ?!?! ?